Connecticut fall foliage has long been regarded as one of the most beautiful displays of the changing seasons in the Northeast region. You’ll love to witness the colors on the Connecticut Fall Foliage train this fall, especially if you already have a soft spot for the Connecticut coast. Offering both the beautiful and vibrant peak colors, Connecticut also has the more unique and subtle colors of seaside marshes that change just as the trees do. Come explore the diversity of Connecticut fall foliage this year on the Connecticut Fall Foliage train. There are so many wonderful ways and places to see the beautiful Fall foliage of Connecticut. You’ll find them and more in our free Vacation Guide when you download it today! At Stonecroft Country Inn, we want you to have the very best visit to Mystic possible. You’re going to love it here! Welcome aboard the Essex Steam Train and River Cruise, the only steam train and riverboat connection in America. Enjoy a delightful journey while you sit back and relax during the 2½-hour narrated ride along 13 miles of scenic beauty and colorful Connecticut fall foliage. Continue on your journey aboard the Becky Thatcher, a Mississippi-style riverboat for a 1 ¼ hour cruise on the Connecticut River and enjoy the rich assortment of wildlife and romantic fall foliage. 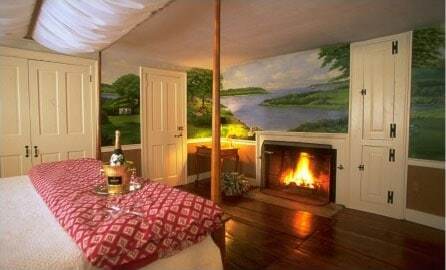 Your narrated trip will pass along historic sites such as Goodspeed Opera House and Gillette Castle. On your return trip to historic Essex Station, enjoy the experience of days gone by listening to the melodic sound of the steam train whistle, once a common occurrence throughout the country. The Coast – Few people associate the coast with Connecticut fall foliage, but it is truly a delightful place to witness the cycle of seasons. The marsh grasses and short coastal trees offer a uniquely beautiful and subdued shift from the glowing greens to sparkling golds and oranges as they prepare for winter. The low growing glasswort is a favorite to catch in the wetlands. While staying in the Mystic area, you are also just a short drive from the mouth of the Connecticut River in Old Lyme. It is a little-known fact that the colors last the longest along the shore of the state’s largest river, so make the trip for a walk along its waters when here! The drive down the coast on Route 1 will give you yet more opportunity to take in more Connecticut fall foliage. The Goodwin State Forest – Just an hour’s drive inland from the Mystic coast, the Goodwin State Forest is a great chance for a colorful nature walk this autumn season. The multi-use trails and boardwalks are the perfect places from which to witness the gorgeous Connecticut fall foliage while getting some great fresh air and exercise, and the drive promises to be a beautiful one. The drive along Route 6 is also known for its spectacular foliage scenes. 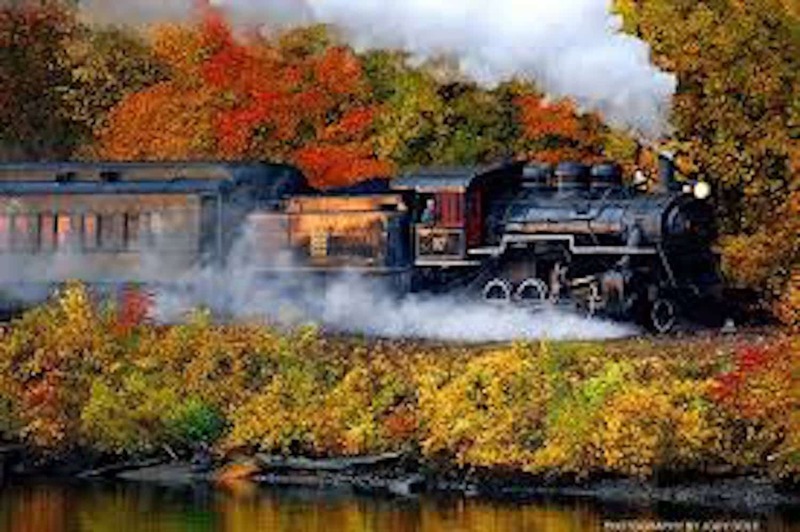 Now is the time to plan your Fall trip to Connecticut with our Fall Foliage Train Ride special! 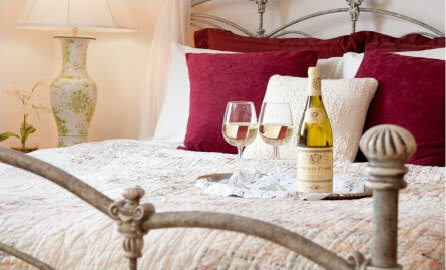 Contact us today to book your Stonecroft Country Inn Fall getaway!